The humid air, bird calls and earthy aroma let you know you've entered a world far from Wisconsin. 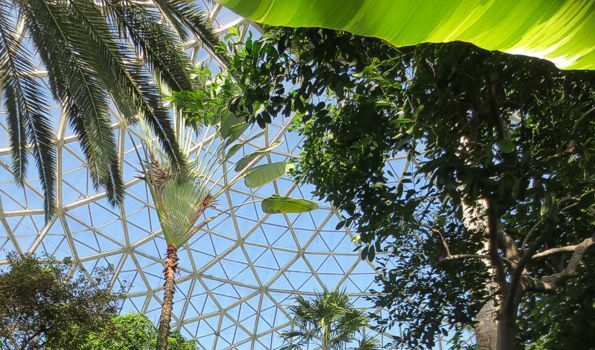 In our microcosm of the rainforest, you'll encounter over 1,200 species of tropical plants as well as some tropical birds in this area of less than 15,000 square feet. This corresponds to the kind of diversity that might be found in many tropical regions. It is estimated that 50% of all species of plants and animals live in the tropical forests, an area that comprises only about 7% of the land surface of the earth. 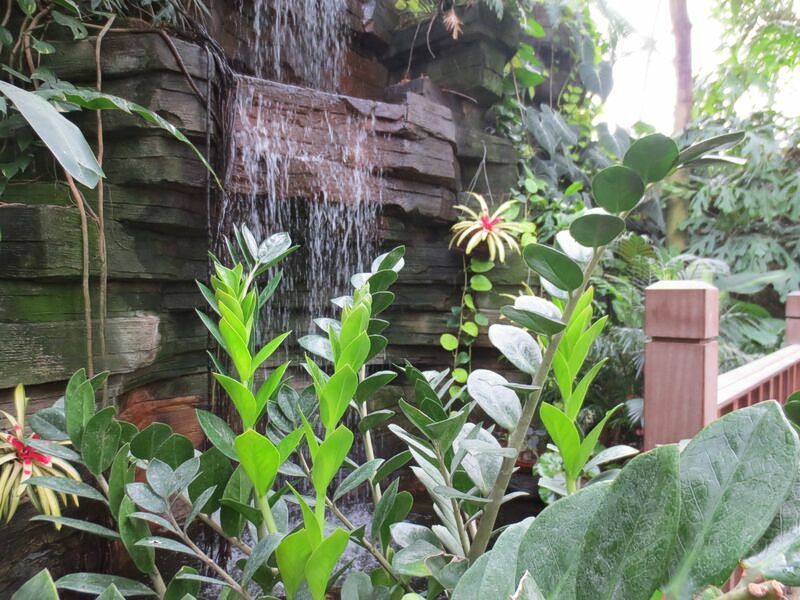 Our microcosm of the rainforest features orchids, lush foliage, economic plants and a beautiful waterfall. Rainforest products valuable to us include food, beverages, spices, resins and gums, lumber, dyes, varnishes, lubricants, insecticides, fungicides, latex, oils, pharmaceuticals, and, of course, our favorite houseplants. 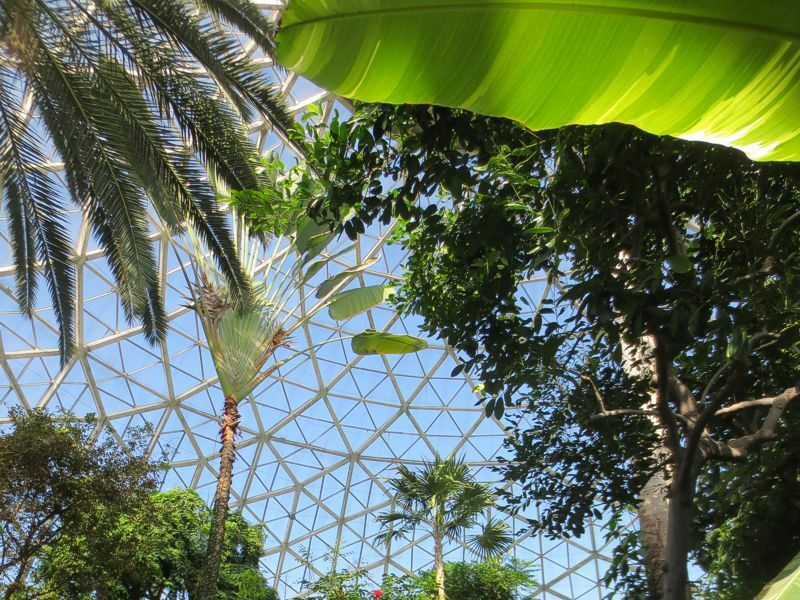 As you tour the Tropical Dome, take care to look up, as well as from side to side. 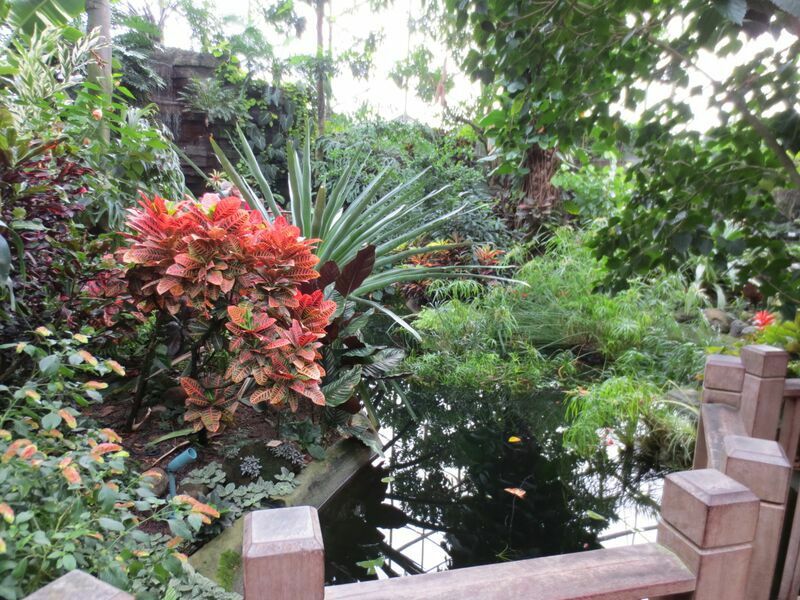 In addition to the plants, there are several species of tropical finches, koi fish, frogs and toad, and even a world of insects living here. 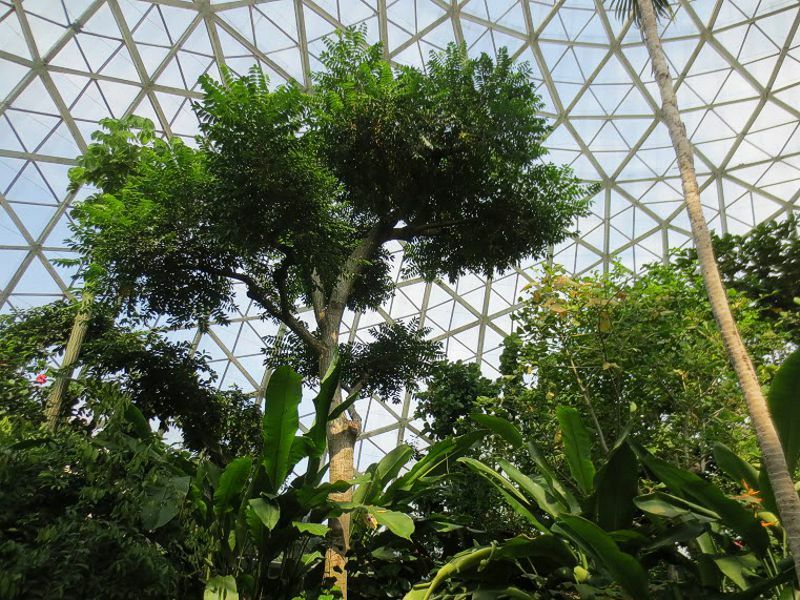 In this Dome you'll find tropical fruit trees including star fruit (Averrhoa), and guava (Psidium guajava). You'll discover the source of chocolate and cocoa (Theobroma cacao) as well as flavorings such as vanilla from the vining vanilla orchid. You will also find spices such as cardamom (Elettaria cardamomum), turmeric (Curcuma longa), and black pepper (Piper nigrum). Other food products come to us as nuts from Macadamia integrifolia and fruit from the banana plant (Musa). Valuable tropical hardwoods you'll see include ebony (Diospyros ebenum), mahoghany (Swietenia) and jari (Gmelina arborea). The neem tree (Azadirachta indica) and Derris plants provide insecticides. Powerful poisons are extracted as strychnine from Strychnos nux-vomica and curare from Chondrodendron tomentosum. 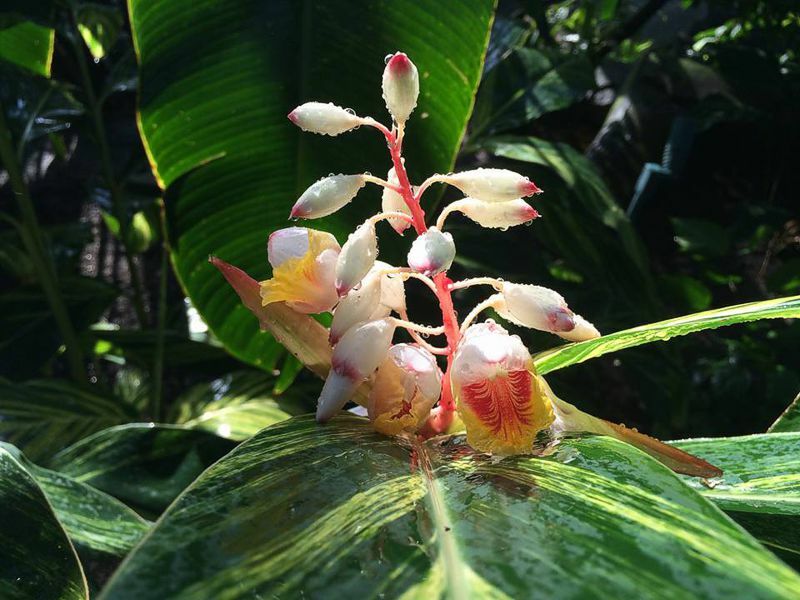 Perhaps the most familiar plants of the rainforest are those we have incorporated into our homes and offices for decorating – plants such as philodendrons, peperomias, bromeliads, orchids, ferns, marantas and calatheas. 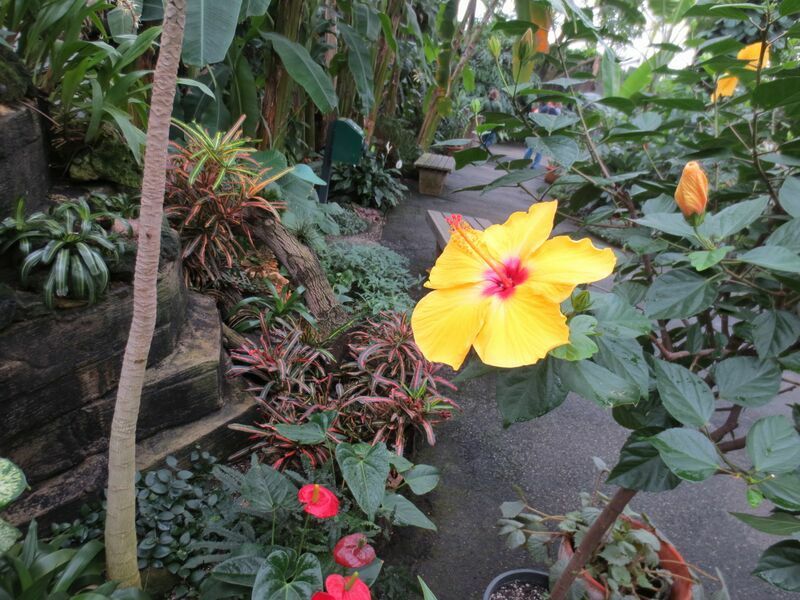 Other flowering plants that provide vibrant color to the tropical exhibit include amaryllis, hibiscus, anthurium, calliandra, clerodendron, crinum and heliconia. Unusual tropical life forms are also apparent. A rainforest ecosystem develops vertically as well as horizontally. Our favorite houseplants are often found growing as ground covers in the tropics; their adaptation to low light enables them to survive in our homes. A wide array of epiphytes (plants that use other plants for physical support) such as orchids, bromeliads and ferns are growing overhead on tree branches. 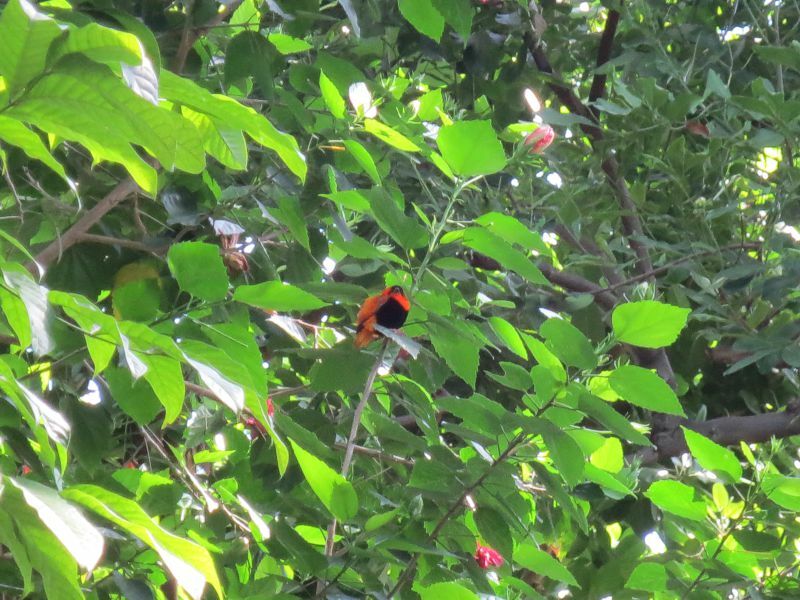 Indeed, it is in the forest canopy, along tree branches that much of the plant productivity and diversity occur. Vining plants that scramble up trees to gain more light include vanilla, passiflora, combretum and aristolochia. The tallest trees of the rainforest are called "emergents" because their canopies rise above all others. 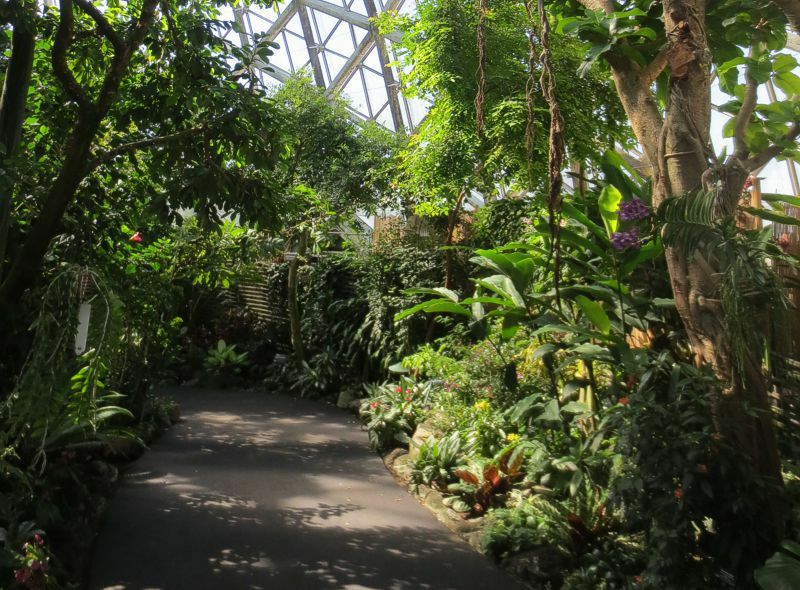 Here in the Tropical Dome, our emergent is the kapok (Ceiba pentandra), reaching 85' tall. Look at its base and you will discover an important adaptation to the shallow tropical soils–buttressed roots that afford additional support for the tree.